The fossil was uncovered in the Araripe Basin, in northeast Brazil, in a limestone layer called the Crato Formation. 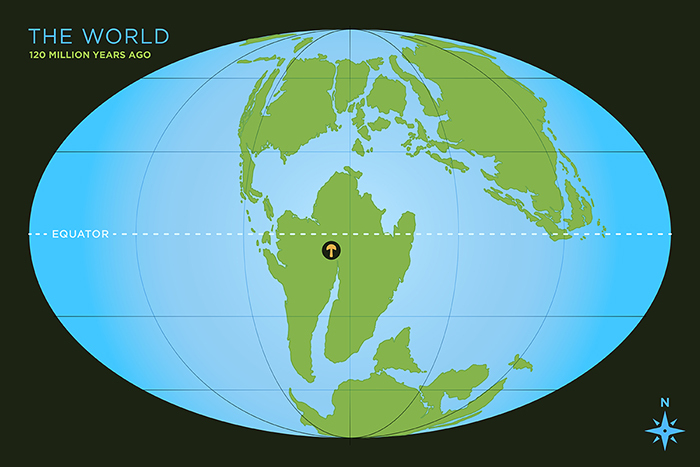 CHAMPAIGN, Ill. — Roughly 115 million years ago, when the ancient supercontinent Gondwana was breaking apart, a mushroom fell into a river and began an improbable journey. 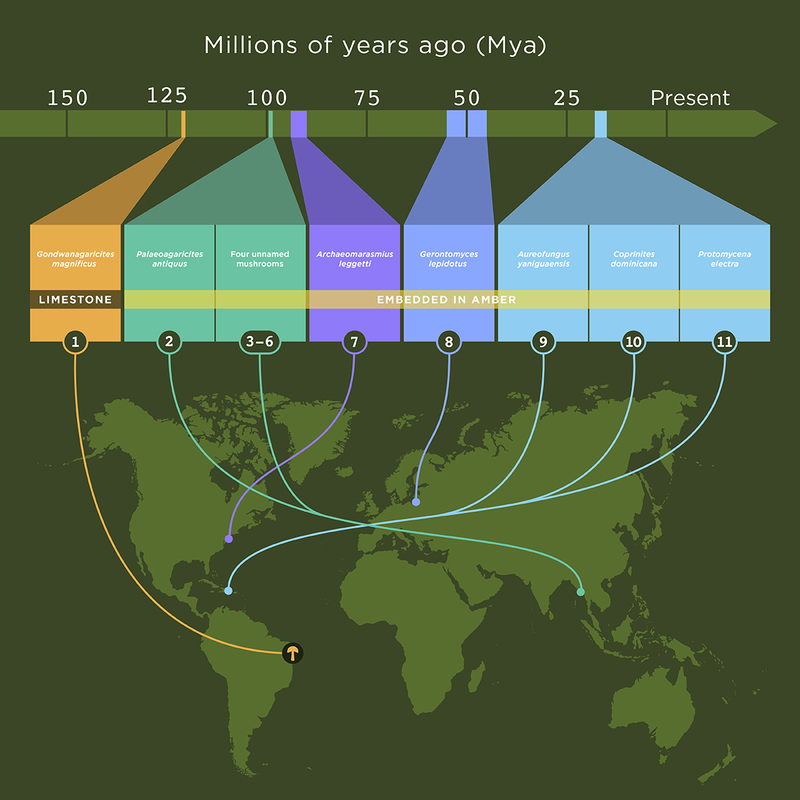 Its ultimate fate as a mineralized fossil preserved in limestone in northeast Brazil makes it a scientific wonder, scientists report in the journal PLOS ONE. The world’s oldest fossil mushroom was preserved in limestone, an extraordinarily rare event, researchers say. The mushroom somehow made its way into a highly saline lagoon, sank through the stratified layers of salty water and was covered in layer upon layer of fine sediments. In time – lots of it – the mushroom was mineralized, its tissues replaced by pyrite (fool’s gold), which later transformed into the mineral goethite, the researchers report. The mushroom lived during the Early Cretaceous, a time of dinosaurs when the ancient supercontinent Gondwana was breaking apart. 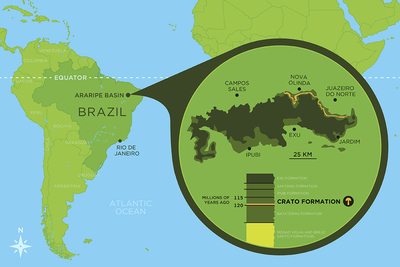 “Most mushrooms grow and are gone within a few days,” said Illinois Natural History Survey paleontologist Sam Heads, who discovered the mushroom when digitizing a collection of fossils from the Crato Formation of Brazil. “The fact that this mushroom was preserved at all is just astonishing. 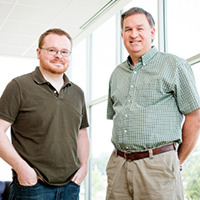 Illinois Natural History Survey paleontologist Sam Heads, left, INHS mycologist Andrew Miller and their colleagues report the discovery of a 115 million-year-old fossil mushroom. “When you think about it, the chances of this thing being here – the hurdles it had to overcome to get from where it was growing into the lagoon, be mineralized and preserved for 115 million years – have to be minuscule,” he said. 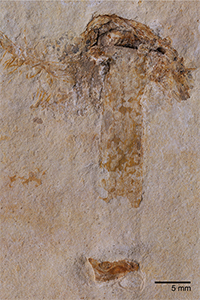 The Crato Formation mushroom fossil is the oldest ever discovered. All others have been found in amber. Before this discovery, the oldest fossil mushrooms found had been preserved in amber, said INHS mycologist Andrew Miller, a co-author of the new report. The next oldest mushroom fossils, found in amber in Southeast Asia, date to about 99 million years ago, he said. The mushroom was about 5 centimeters (2 inches) tall. Electron microscopy revealed that it had gills under its cap, rather than pores or teeth, structures that release spores and that can aid in identifying species. 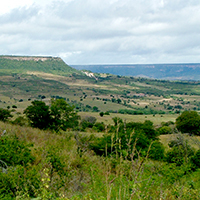 The Crato Formation underlies a vast tableland of eroded rock. 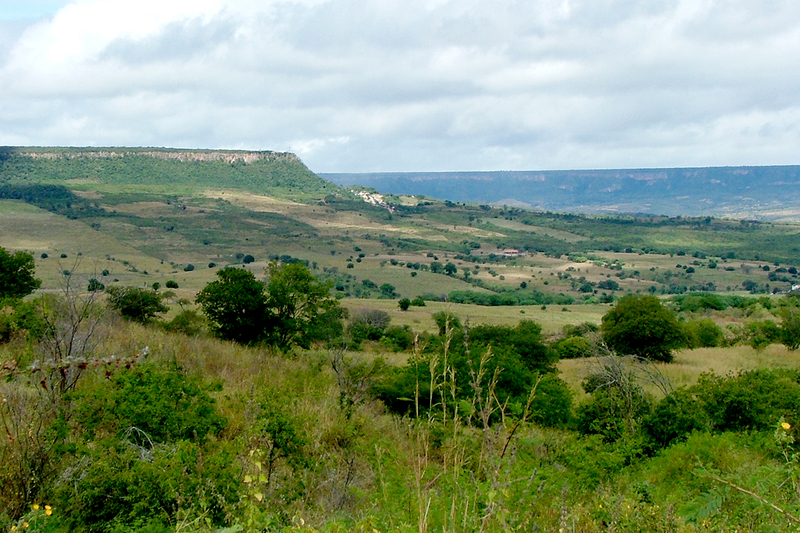 The world's oldest fossil mushroom was found here in northeast Brazil. The researchers place the mushroom in the Agaricales order and have named it Gondwanagaricites magnificus. The INHS is a division of the Prairie Research Institute at the University of Illinois. 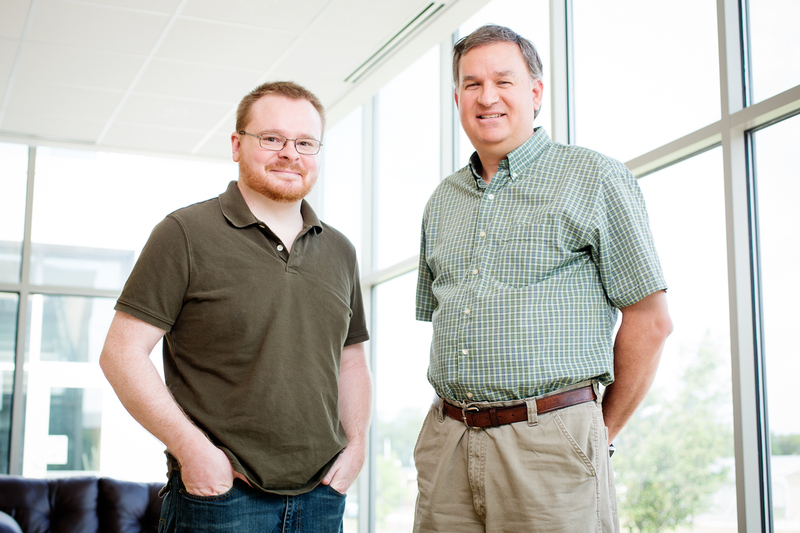 The National Science Foundation is funding a project to digitize INHS fossil collections. To reach Andrew Miller, call 217-419-6589; email amiller7@illinois.edu. 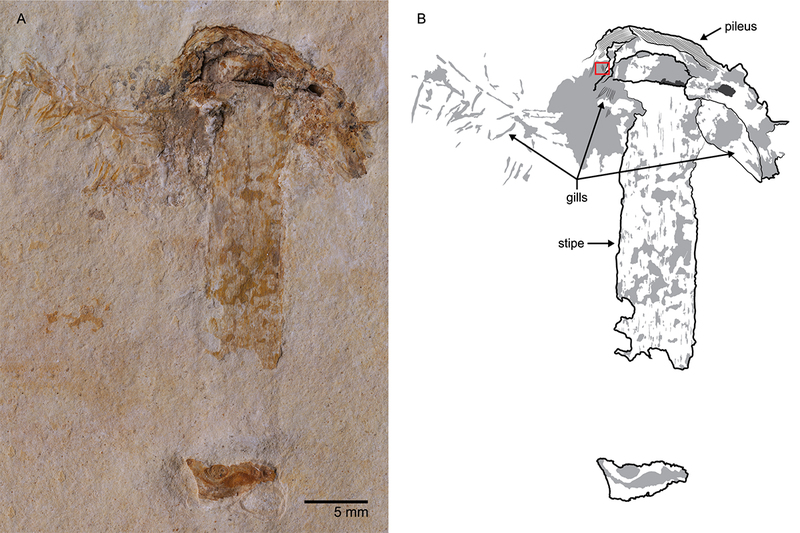 The paper “The oldest fossil mushroom” is available online and from the U. of I. News Bureau.